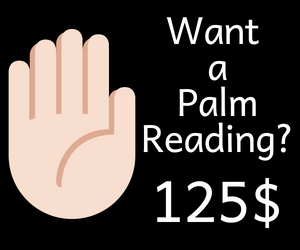 The thumb has always been given a very special importance in palmistry because it represents the entire palm and is directly connected with the brain of the person. 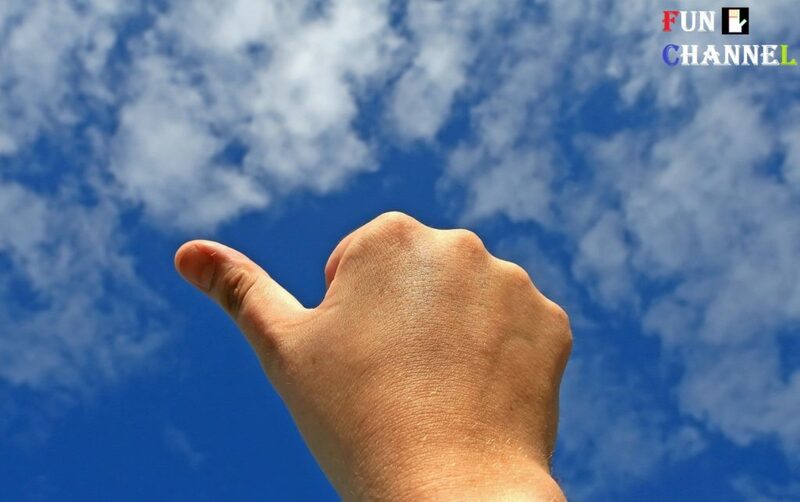 That is the reason why thumb is considered as an excellent measure to determine the person’s character or personality and how he or she is making use of one’s inherent talents and abilities. 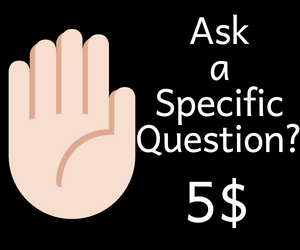 In some form of palmistry,palmists only focus their entire attention towards discerning the fingerprint,shape and size of the thumb which gives abundant information to predict the future of the person. Indeed,the thumb is known as the king of all the fingers where it is equivalent to four fingers found on the hand and only humans has got the luxury of having the thumb on their hands to give the easy grip or hold of the objects. 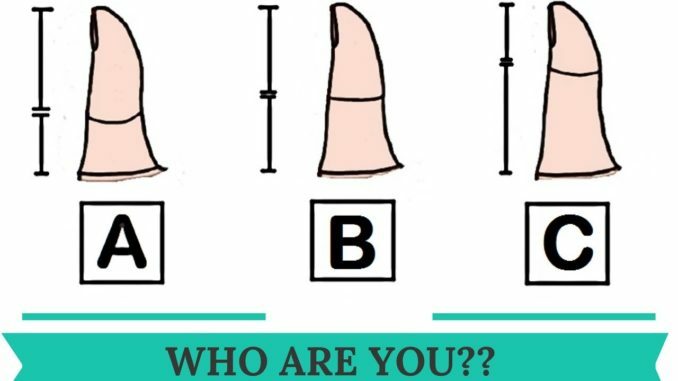 Like all fingers,thumb is also divided into three phalanges. 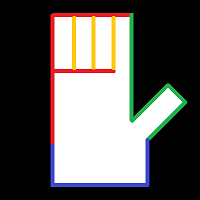 The first section comprising the thumb nail represents the person’s willpower and determination to move ahead in one’s life,second section represents logical and reasoning abilities of the person and the third section comprises of the mount of Venus which denotes how the person expresses his or her passion, love and sympathy towards others. 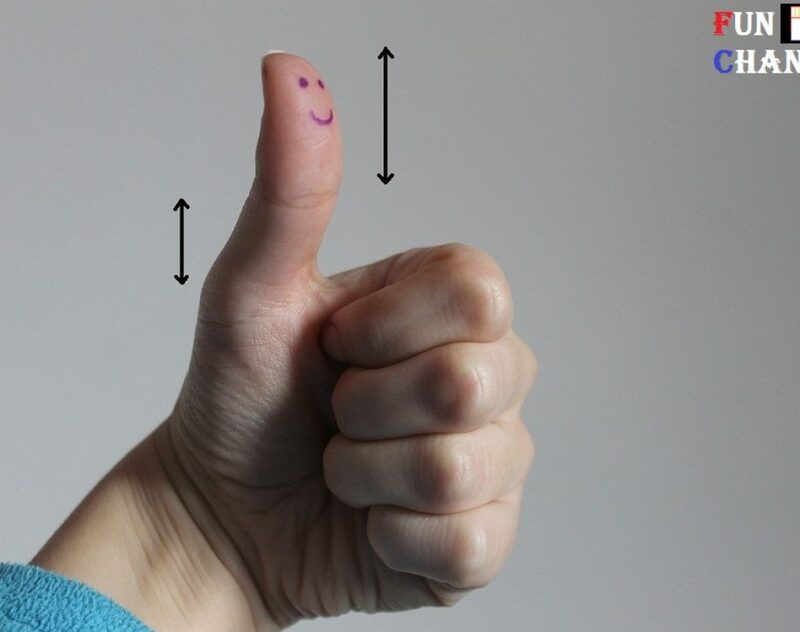 The person needs to have balance of all the above qualities to become highly successful and wealthy in one’s life.While determining the personality of the person using one’s thumb,mount of Venus is often neglected and focus is there only on the first two phalanges of the thumb which provides great insights in determining the self-control and character of the person. With the excess or deficit of one of the two upper phalanges, different personalities gets emerged. 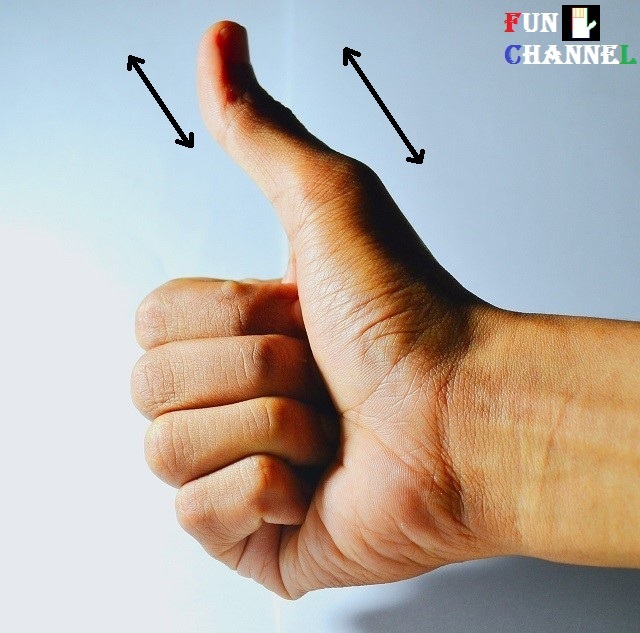 If the upper and lower sections of the thumb are equal in length as shown indicates the person has the balance of willpower and logic. The person does not get carried away by emotions and each and every decisions are well thought,backed with strong reasoning.Because of such well-planned thoughts such person often gets successful in love matters and relationships where he or she keeps one’s unwanted emotions aside. 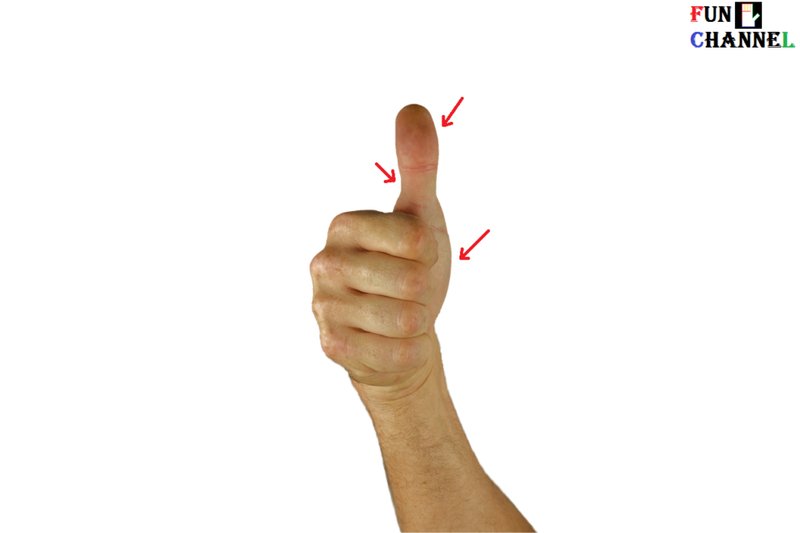 If the upper section is greater than the lower section of the thumb as shown indicates the person’s willpower is excess of logical and reasoning skills. The person tends to act first and does not care about the consequences if the things go against what he or she have planned. In this process,there are high chances of making mistakes.The person often becomes stubborn and obsessive with respect to one’s work or love matters which is not a bad thing if the energy is channelized in the right direction. 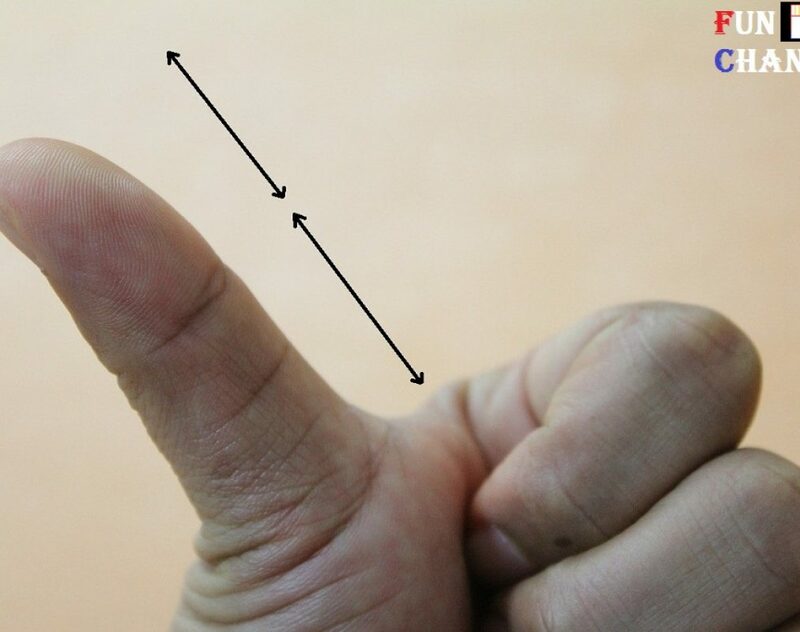 If the lower section is greater than the upper section of the thumb as shown indicates the person’s logical and reasoning skills is excess of one’s willpower and determination.This makes the person very careful where he or she analyzes the entire situation before coming to any conclusions. This process sometimes takes a long time than actually required and the person lacks the ability to put the entire planned activity into existence. Such person should relax and try not to think too much in one’s life.